This is the fourth of five posts about LittleBigPlanet. My first post dealt with the mechanics and deconstructionist nature of the game, my second post addressed the game's cooperative appeal, and my third post examined LBP's novel means of facilitating communication. This post touches on what I see to be the game's philosophical quandary. As always, feel free to jump in with your thoughts as well. LittleBigPlanet is a game that claims to be composed of people's dreams. A hefty claim to be sure, most of which is based on the game's capacity to facilitate player-created content. Creation often sparks controversy, and LBP is no exception. LittleBigPlanet's potential to spur creation suffers due to what I call "cultural medievalism." Much like feudal lords in Europe, societal groups are trying to carve out cultural fiefdoms in hopes of controlling human expression. Whether it be music, game characters, or any other means of expression, their approach is one based on monopolizing the value of cultural symbols, regardless of whether this value is financial, ideological, or some combination thereof. This view of cultural ownership is inhumane, shortsighted, and repugnant to the supposed philosophy of LBP. 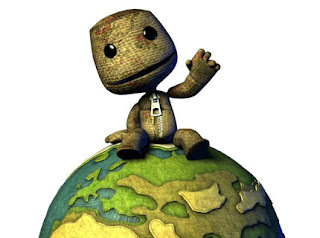 Even before its release, LBP found itself in the midst of a cultural dispute. One of the musical tracks contained verses based on passages from the Qur'an. Some people claimed offense, and a small group of people were able to effect a worldwide delay of the game. I wonder about the number of people who were actually offended by this song. Furthermore, from everything I have read about Toumani Diabate, this song was not meant as an attack towards anyone. Additionally, I am certain I could find some Christians who find other video games' use of the word "God," offensive. One does not need to look hard to find something in any cultural product that could offend at least one group of people. So why were the lyrics scrubbed in this situation? Sony's fear of lawsuits and controversy is understandable if viewed through the logic of cultural medievalism. While delaying a high-profile, console-exclusive game is a drastic (and unprecedented) move, the reasoning behind cultural exclusivity demanded it: Sony does not have any legal ownership over the Qur'an, and therefore ceded cultural ownership to a minority of offended Muslims, a group whose case for exclusive rights is arguably stronger than Sony's. However, I do no think that the core of this issue is a Muslim or even a religious consflict. In setting the precedent of acknowledging and ceding cultural ownership, Sony set itself up to invoke and utilize the very same doctrine to police LBP's players. Pablo Picasso once said: "Good artists copy. Great artists steal." While glib, this sentiment succinctly communicates the idea that creation does not exist in a vacuum. Because of this, it impossible for someone to create a LBP level without being influenced on some level by ideas that were not "theirs." This is a scary concept for cultural medievalists. The line between borrowing and stealing is a blurry one that continues to fade into obscurity with each passing year. Oftentimes, familiar cultural references points can be synthesized to create something new, like Danger Mouse's "Grey Album." Works like this make cultural medievalists uncomfortable because it weakens their exclusive control over cultural symbols. To them, expression is limited by strict copyright laws designed to exact immediate profit. There is nothing wrong with crediting a work's creator and making sure they are fairly compensated for their work, but to ban LBP levels for containing user-created Sonic or Metal Gear characters is shortsighted madness. Even if one were to step away from the ideology of unlimited free expression and analyze Sony's actions in terms of current economic norms, it seems that Sony only hurts itself by implementing draconian rules on user-generated content. If a player makes a Sonic level, no one is harmed: Sony has people playing their game, Sega has people adding to their brand's visibility, players have a novel experience, and video games develop into a more layered medium. In releasing a game whose aim is to stimulate human imagination, Sony has created an entity with the potential to develop independently of its creator. Left to its own devices, LBP is a chaotic, spontaneous creature because it is continually recreated by similarly chaotic, spontaneous creatures. Sadly, it seems that instead of letting this creature (and these creatures) develop, Sony instead seeks to lobotomize it in order to maintain exclusive control over it. In doing so, Sony keeps us enclosed in a cultural fiefdom.